When you’re looking to fix a faucet or install a new one, it’s always a great idea to call in an expert. When you need faucet repair or installation in Canandaigua, NY, GT Campbell can get the job done for you quickly and easily. In fact, our skilled plumbers love to help you make your bathroom look better and feel more like home to you. When your faucet breaks, it’s annoying. Even if it’s just dripping, that sound can drive you crazy. Besides, you can’t really use a sink with a broken faucet, and that’s frustrating, too. 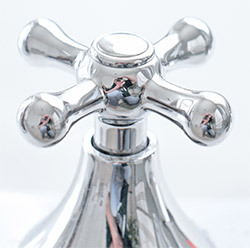 Save yourself the hassle of living with this as part of your daily life and call a plumber. Our team will help determine what has gone wrong with your faucet and whether repair or replacement is your best option. When you need faucet repair and installation in Canandaigua, NY, we will get to you quickly. We’ll come when it’s convenient and get things working again as soon as possible. We can even help you select a new faucet, if you need or want one and you aren’t sure what to get. We know which brands work the best and we can even help you choose one that has a particular look or style that you’re going for. No matter what you need when it comes to faucet repair and installation in Canandaigua, NY, our plumbers will help you get the job done. They take a lot of pride in their work, and especially in helping you achieve the kitchen or bathroom that you’ve always wanted. One faucet may seem like a small part of that, but it can actually go far towards helping you achieve your dreams for your home.